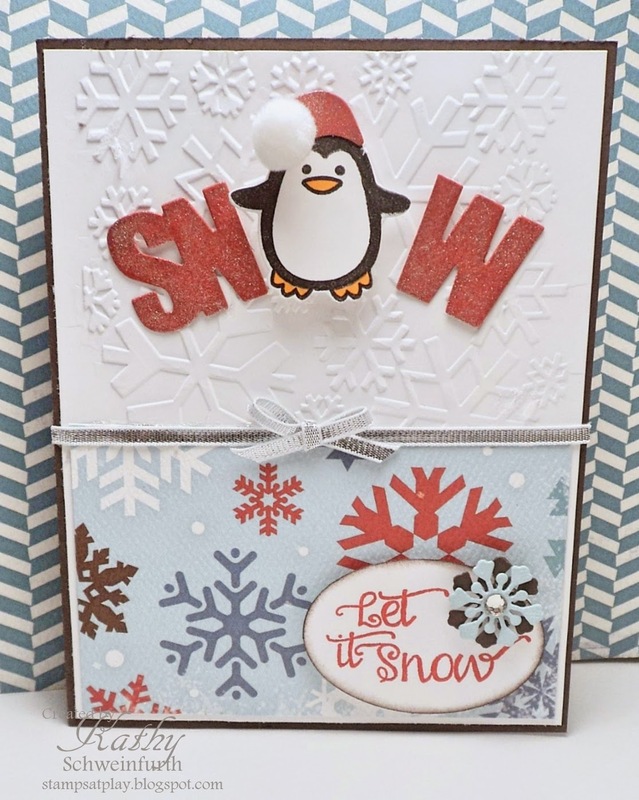 Welcome to December and a new Merry Monday Christmas Card challenge!! 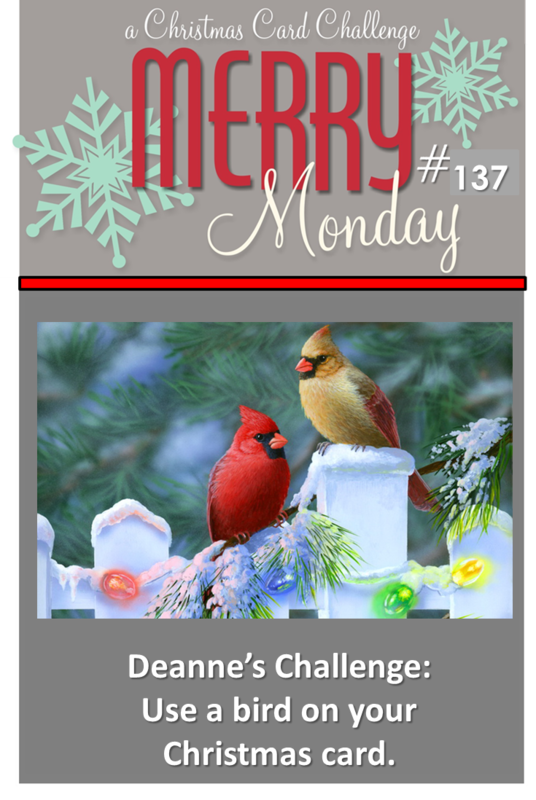 Deanne is our Merry Maker hostess this week and has a super challenge: add a bird to your Christmas card! I chose this cute little guy and die from Papertrey Ink. Be sure to stop over at the challenge blog to see the beautiful designs our Design Team has come up with! So, I received an early Christmas gift - a new computer. "Yeah" - well, not so much. I'm an old dog who doesn't like learning new tricks. I had, what I felt, was the perfect photo editing program with my old Microsoft program which had an awesome feature that adjusted the tint/temp pretty much automatically. Unfortunately, it's not compatible with this new fan-dangled system - ugh! I've tried several apps (yes, now I have to find apps for crying out loud) and am still trying to figure it out. So, bear with me. It took me an hour to get this photo look like this - I hear that snicker - but I guess I need to quit whining and learn to "sit/stay/roll over"! Such a fun card, Kathy! I never think to use a penguin for a bird challenge, but of course, they are birds. Good luck with your new computer - never fun! I feel for you, Kathy! We had a tech in the other day and he told me I needed to ditch my 2005 computer. He couldn't understand why I kept it but I have programs that I know how to use! I don't even understand about apps. Talk about an old dog! But I love your card! That cute penguin looks young and fun! Good luck and I hope you get to enjoy the week! Yay for the new computer! You will get the hang of it, is it a Mac? Your card is adorable and I love your choice of bird.. too cute Kathy! So very cute Kathy, your little penguin is so sweet. Your penguin is cute sporting a Santa hat. Love the snowflakes! Yay for your new computer. Enjoy! Really cute..your photo looks great. I use pic monkey..it's free and easy to use!